As the saying goes - “A tattoo lasts forever”; but a tattoo doesn’t always last forever looking good. If you’ve had your tattoo for a few years, you may have noticed that it doesn’t look as fresh and as striking as it once did. This is because it has most-likely faded. While most tattoos will fade at least somewhat over time, some will fade much more than others due to a variety of factors, most of which will be discussed in the articles below. If your tattoo has faded and you want to know why, or if you’re simply trying to prevent your tattoo from fading in the first place, then read on. Color tattoos certainly will fade if you don’t take good care of them from the outset. Light colors will generally fade quicker than darker colors, with white ink being the one that will usually fade the quickest out of all the colors. Watercolor and pastel-color tattoos also generally fade much faster than others due to fact that the technique generally requires much lighter and more delicate coloring. However, colored inks have improved considerably in recent years, and these enhancements help to prevent tattoos from fading as much as they would have a decade ago. Can Black & Gray Tattoos Fade? Just like color tattoos, black and gray tattoos will also fade over time if you don’t take great care of your body-art over the years. Understanding how tattoos work will help to show you why ink isn't always permanent. While darker tattoos made with black ink are generally more robust and tend to stand the test of time better than color tattoos, they can still be particularly vulnerable if they’re made by an inexperienced artist who packs the ink into the skin too lightly or not deep enough. Again, like color tattoos, the components used in black ink have improved considerably over the last few years, helping to keep age-related fading away for longer. What Are The Main Reasons For Tattoo Fading? There are various locations on the body where tattoos will generally fade much quicker than if they were placed on other areas. Any areas of the body that commonly rub against other body parts will generally be places that tattoos will fade quicker on. This includes places like in-between the fingers and lips. Likewise, if you get a tattoo in an area that commonly rubs against anything else (like clothing for example) that tattoo will generally fade at a faster rate. Tattoo’s on top of the feet is a great example here. Constant rubbing between the feet and socks/shoes will, over time, cause the tattoo to fade slowly until it begins to become noticeably apparent. Finally, tattoos around areas that are affected heavily by weight loss and weight gain can show signs of fading if extreme weight fluctuations occur. As mentioned above, ink quality will definitely contribute to either the longevity or slow demise of your tattoo. If the tattoo ink is made from low-quality components, or if it’s diluted too much by an inexperienced artist, it will not usually last as long as high quality, highly concentrated ink. Don’t be afraid to do your research on inks before getting your tattoo, and it’s sometimes helpful to ask your artist what ink they intend on using so you investigate as to whether it’s high enough quality for your liking. Also, you should note that the lighter the ink, the faster it will tend fade. So if you want a tattoo to look like it should for as long as possible, choose a design that uses plenty of dark colors and textures. Finally, remember that the color of ink also matters when it comes to how quickly your tattoo will fade. If you choose lighter colors such as pinks and yellows, expect your tattoo to fade much faster than darker shades of other colors. If your tattoo contains a lot of highlighting, don’t be surprised if this highlighting gradually disappears a lot quicker than other areas of the tattoo. 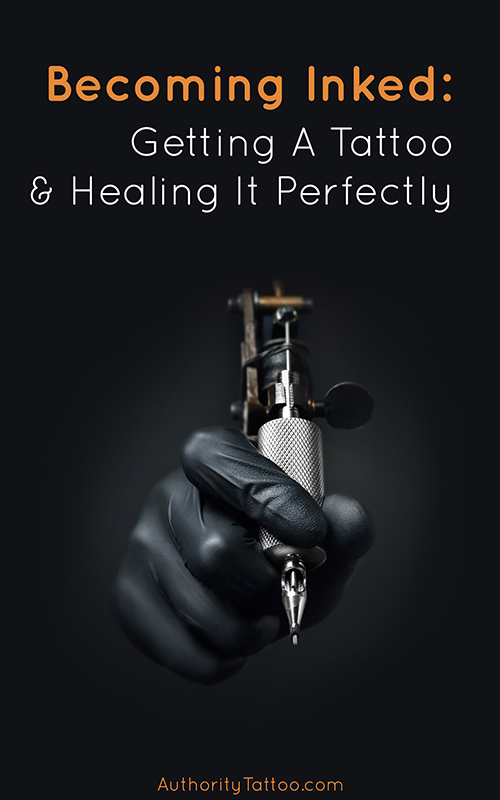 The healing and aftercare stage of your tattoo is immensely important when it comes to tattoo fading. For the first couple of weeks, the tattoo ink will not be correctly set, and therefore you should care for the ink as best as you can. Not only this, but over the course of the first couple of weeks, your tattoo will go through stages where it scabs and peels. The scabbing and peeling skin will look like it’s ready to come off, but while it’s still attached, it still has the ability to affect the ink if it’s accidentally pulled at or ripped off. For this reason, you should try as best as you can to leave your healing tattoo alone, no matter how unsightly it may look with scabs and pieces of flaky skin hanging off. Pulling off any scabs or pieces of flaky skin will very possibly contribute to areas of patchiness and fading within the tattoo. Another thing you must be careful of when the tattoo is healing is which lotions or ointments you decide to use on the area (and how much of it). Using lotions that are too harsh for the very delicate healing skin can draw ink out of the area and cause patchiness. Likewise, using too much lotion can saturate the area and seep into the skin, diluting the ink and contributing to premature fading. Finally, not keeping the tattoo clean and bacteria-free while it’s healing could cause an infection to take hold within the area. If not treated quickly enough, a tattoo infection can quite easily cause permanent fading and even scarring. If you notice that your tattoo has faded during the healing process through no fault of your own, most artists will generally offer a free touch-up to replenish areas where ink may have been lost. The sun is the undisputed champion of tattoo fading. Nothing will fade a tattoo as badly as the sun if you’re not careful enough when you go outside. It doesn’t take much for the invisible UV rays to infiltrate the skin and break up the ink. Not only this, but sunburn is also a great enemy for all tattoos. Every time your skin gets sunburned, it will die and shed/flake at a much faster rate, which in most cases will mean that lower layers of skin will also get some damage. With a new tattoo, you should try to keep out intense sunlight completely for the first 2-3 weeks. Most sun tanning lotions contain harsh chemicals which will irritate the sensitive healing skin around your new tattoo and therefore you should use any, and instead just try to keep your tattoo covered as best as possible while outside. Once your tattoo has completely finished scabbing and peeling, you should then be able to begin applying sunscreen without irritating the area. You should use at least SPF 30 sun lotion to ensure your tattoo is protected as well as possible. 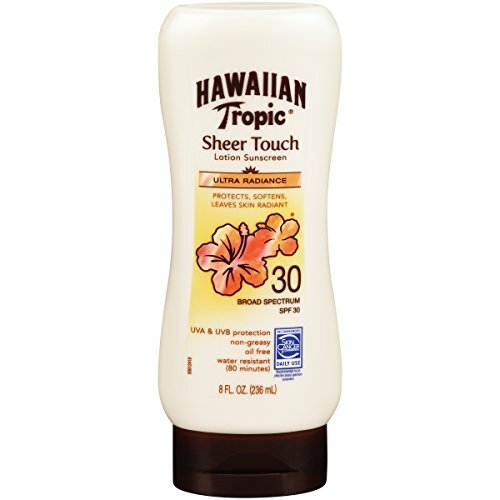 My favorite and most recommended sunscreen for using on tattoos is Hawaiian Tropic Sheer Touch. This lotion has all of the attributes required for not only protecting your tattoo amazingly well, but also for helping to keep it bright and vibrant. It's suitably strong at SPF 30, it's water resistant, and it has great hydrating properties. If you're looking for even more protection, there are also dedicated tattoo sunblock sticks available (like the Coppertone Tattoo Guard) that you can use to top up tattooed areas of skin conveniently whenever you feel that your ink may be in need of slightly more protection. Finally, your tattoo will slowly fade throughout its life simply because it’s getting older, and unfortunately there is no way of getting around it. By trying to avoid the contributing factors above, you can prevent tattoo fading as much as possible, but you must be prepared for the fact that nothing will stop your tattoo from fading slightly just as it naturally ages (and as your skin naturally ages too). You must also remember that a tattoo will only look as healthy as the skin that it’s on, and for this reason, you should try to look after your skin as best as you can. This means that you should moisturize your ink as frequently as possible throughout the tattoos life to keep the area hydrated. Drinking plenty of water will also help with this. Eating a healthy, balanced diet will ensure your skin gets the nutrients it needs to remain looking young, while frequent exercise will help to flush harmful waste away from the area. 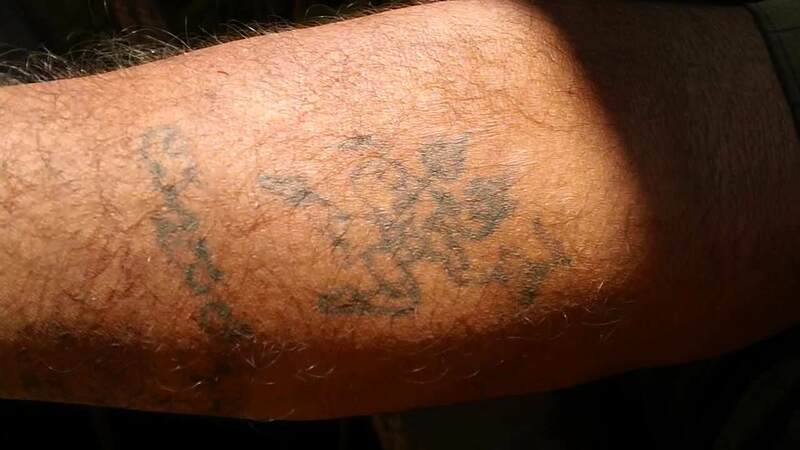 If your tattoo has become noticeably faded over time, there is unfortunately not many ways to rejuvenate your ink. The most successful way of revitalizing your faded tattoo by far is to get an experienced artist to give the area a touch-up. During a tattoo touch-up, your artist will go over the whole tattoo, packing ink into faded areas and adding new highlights to recreate the depth and texture the tattoo once had before it began to age. Also remember that you don’t even have to get the same design over an old tattoo if you don’t want to. Instead of getting the same tattoo redone, many people will get what is known as a cover-up, where they get an entirely new looking tattoo created over the old one. Generally, the better and more experienced a tattoo artist is, the better they'll be able to cover up an old tattoo. Most good artists can completely mask an old design so it’s not even recognizable in the slightest. 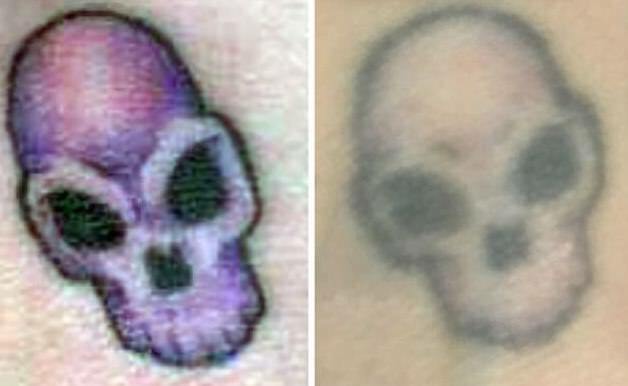 Many times you would never even be able to tell that an old tattoo is hidden underneath the new one. Many people prefer to get a cover up when they’re either bored of their previous tattoo’s design, or if they regretted getting the tattoo in the first place. 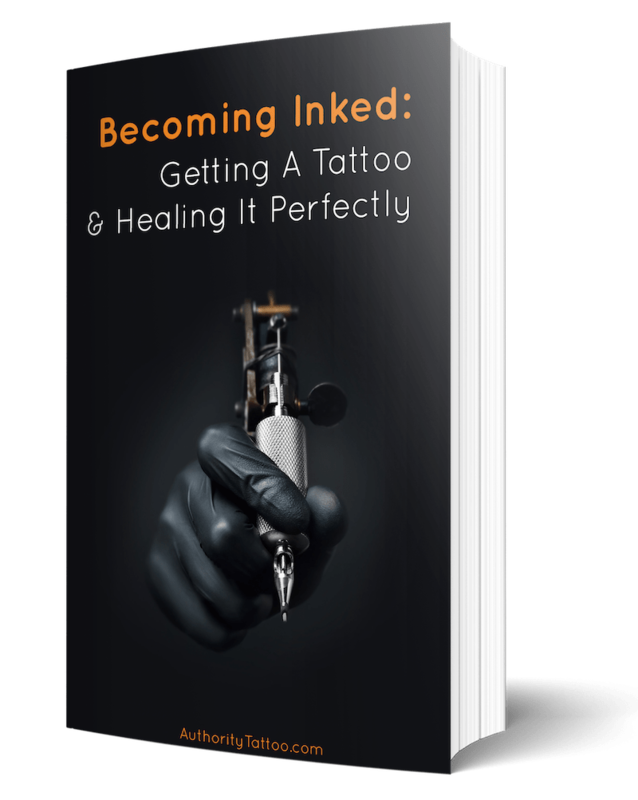 Hopefully, you’ll now know most of the most important contributing factors when it comes to tattoo fading, and by following some of the times above, you can help to ensure your tattoo remains looking great for years to come.